A big, tearful funeral procession is held in Tehran for the famed Iranian musician, composer and pop singer, Morteza Pashaei. 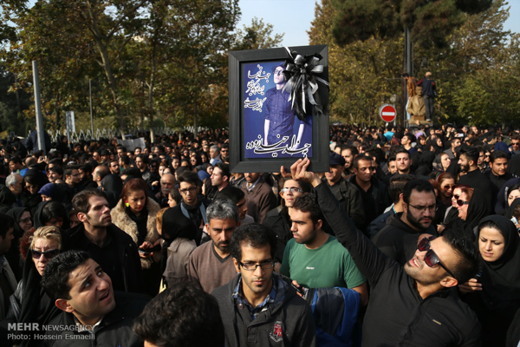 Thousands of people from the capital and elsewhere in the country turned out for the funeral procession of the late Morteza Pashaei, an Iranian musician, composer and pop singer, on Sunday (November 16), according to Fararu, a news website. The emotion-filled farewell ceremony caused gridlock on the streets of Tehran, and the capital’s subway was almost brought to a standstill as a large influx of the late singer’s fans tried to reach the funeral procession. The ceremony went off to a euphonious start when some of Pashaei’s songs were played in his memory with participants repeating the lyrics, among them Mohammad Alizadeh, a famous singer. Sounds of Senj (Cymbal) and Dammam were all in the air as more people joined the huge crowd. Carrying photos of the late singer, the young music lovers had a strong presence in the ceremony joining other attendees to express condolences to the bereaved family of Pashaei. 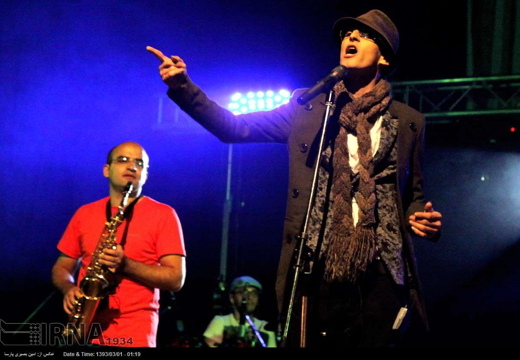 Pashaei gained fame for singing Negaran-e Mani (You Are Worried About Me), the closing credit song of Maah-e Asal (Honeymoon) – a famous anthology TV talk show in Iran which goes on air each year in the holy month of Ramadan in the hours leading to Iftar, when the faithful break their day-long fast. The 30-year-old Pashaei passed away on Friday November 14 after a long battle against gastric cancer.